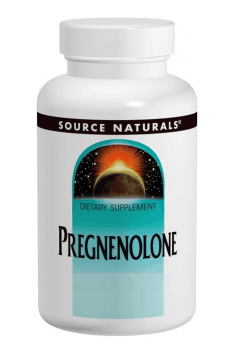 Pregnenolone 25mg loz. 25mg 60 loz. Take 1 lozenge up to 2 times daily. Pregnenolone can be used in case of steroid hormones deficiency and different neurological ailments. You should start form one lozenge a day, and then you can increase the dosage by a half of a lozenge after a few days. You should not exceed the dose of 50 mg a day, however there can be some exceptions. The supplementation should not last longer than 30 days. In case of longer therapy, you should check the levels of such hormones as testosterone, estradiol or DHEA, which can significantly increase. Omniscienti is a potent nootropic. It improves memory functions, develops mental abilities. MegaMind™ is a comprehensive Neuroceutical® formula developed to help meet the demands of today’s challenging world. A dietary supplement containing Acerola. It provides a large dose of vitamin C and acts as an antioxidant. Advanced nootropic formula. Strengthens memory and cognitive functions; improves mood. Pregnenolone, called the “father of steroid hormones”, is a steroid synthesised from cholesterol as a result of the activity of the enzyme 20,22-desmolase found in mitochondria. Pregnenolone is a precursor to all steroid hormones, among others, progesterone, testosterone and estradiol, and mineralocorticoids and glucocorticoids. Pregnenolone supplementation helps optimise hormonal balance. Unlike ready-made hormones, taking pregnenolone is “personalised” because it helps the body decide to which hormone it will be converted. Pregnenolone administration is recommended both to women (during menopause and irregular periods) and middle-aged men (prevents drops in testosterone and libido). Pregnenolone supplementation may benefit also persons undertaking strenuous physical activity and struggling with “adrenal fatigue” (optimised cortisol levels) and the elderly in which levels of pregnenolone and hormones for which it is a precursor decrease (promyelinating properties and improvement in cognitive functions). Our store offers pregnenolone in different package sizes, in the form of capsules, tablets and tasty lozenges.